First let me wish everyone 'MERRY CHRISTMAS & HAPPY NEW YEAR'. For today, I am here with a card today for Christmas using image from The Paper Shelter - What a mess!!. 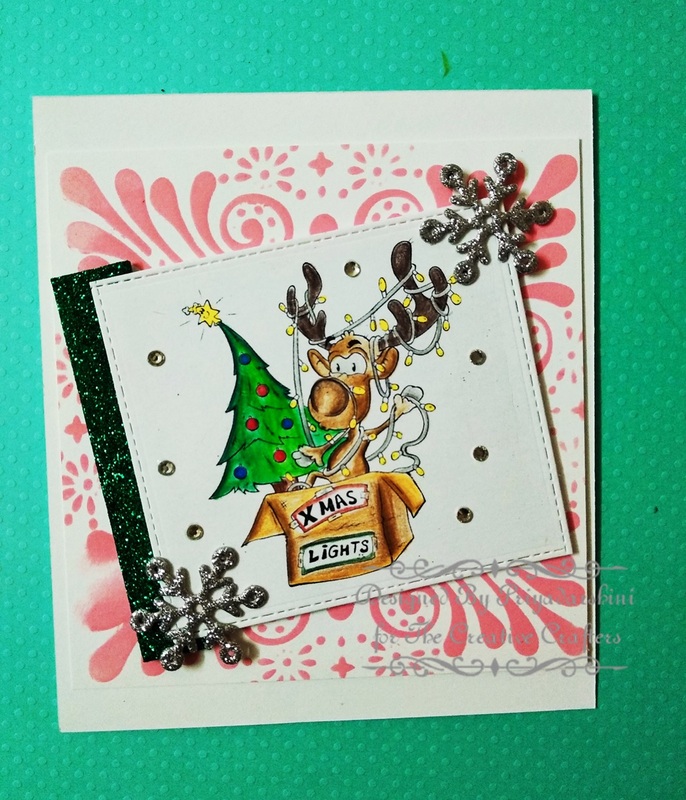 Its a super cute reindeer image which is perfect for a Christmas card. For this card, I used Christmas colours. First I coloured and die cut the image out. Then, i stenciled the background using distress ink. I added some snowflakes silver foam die cuts and a strip of green glitter sheet. To finish the card, I added some embellishments. I hope you call like my card.